This is a grand heritage property which was built in 1887 and was then used by the Maharaja (King) of Cooch Behar as his summer residence. He used to invite many of his Royal guests in the mansion house where he would celebrate occasions or throw parties. 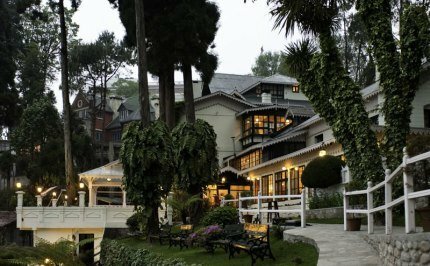 The property is part of Elgin Hotels & Resorts and is owned by Mr. B R Oberoi also popularly known in Darjeeling as Diamond Oberoi. 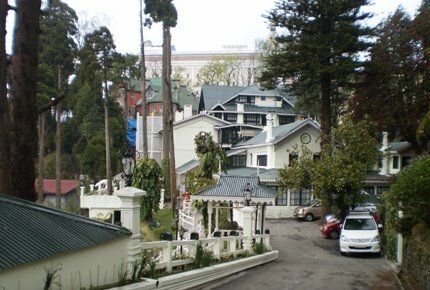 He has several other hotels in Darjeeling and Sikkim. Elgin Darjeeling is located within 5 minute walking distance from chowrasta (Mall). They have been striving hard to offer an experience to guests that would have a perfect balance of old world charm of the colonial days and modern amenities. The hotel has restored and preserved most of its original heritage and history, and also refurbished all the facilities in the property. The silverware, upholstered seating, the grand piano, antic furnishing, Burma teak floors are all reflective of the by gone era of the British Raj days. So if you like to have the charm which combines the colonial aura with modern amenities, then this hotel is certainly one of the forerunners. 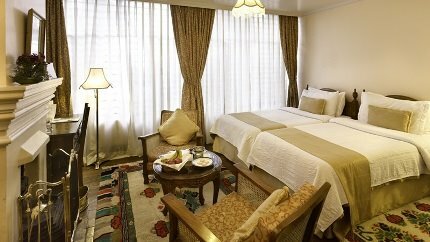 The hotel has 25 deluxe rooms and suites. Suites additionally have a living room. The well appointed rooms are all equipped with fireplace (usually lit up in winter), LCD TV, teak cupboard, free wi-fi (also available in the lounge), tea/coffee maker, safe, phone, minibar in suites etc. Designer toiletries by Elgin are provided in bathrooms. All rooms are brightly lit up. During winter the entire hotel is heated up. They also provide hot water bags in the rooms to keep you warm under the blankets. Note that many rooms face the garden and the valley. Being on a cliifside, some rooms may not have any views at all. However the view of the mountains, the valley and the township from the view-rooms are excellent. You won't get a view of Kanchenjunga peaks though from the property. The main dining room is well decked retaining the heritage aura. The live piano ads to the charm as you dine. The tea lounge is at the lobby level and has a grand decor. There is also a nice bar (Timber bar) here at the lounge. Cocktails are great and prices are reasonable. You can also take light refreshments like pastries, cakes, cookies etc which are mostly made in-house along with Darjeeling tea and other beverages at the outdoor Gazebo. The view of the valley and town from the Gazebo is wonderful. Next to the gazebo there is a small garden with great view of the valley. This is a nice place to relax during the day time. Cuisine in the main dining room includes Indian, Chinese, Continental and some Sikkimese and Tibetan specialties. You can clearly experience the culinary fusion that has taken place in Darjeeling over the years. Sometimes the management organizes ethnic dance by locals dressed in traditional attire. Guests are also invited to participate while the dancers explain every move. There is also a spa in the hotel where they offer different kinds of massages like head massage, foot massage, stress relieving body massage etc. The spa also offers several skin treatments including facials. Other facilities in the hotel includes activity room that offers several board games, a well stocked library for you to know about the history of the region and other interesting subjects, baby sitting services, meetings & conference facilities, business center services etc. Overall the hotel is well maintained, rooms are clean and well furnished, a great property to enjoy a quiet stay amidst history and heritage while availing modern amenities. There is 24-hour room service available. However if there is one area where the hotel should improve, it is in the area of service. While most staff are friendly, some could be better trained. Some of them do not show professional behavior making it clear they lack proper hospitality training.